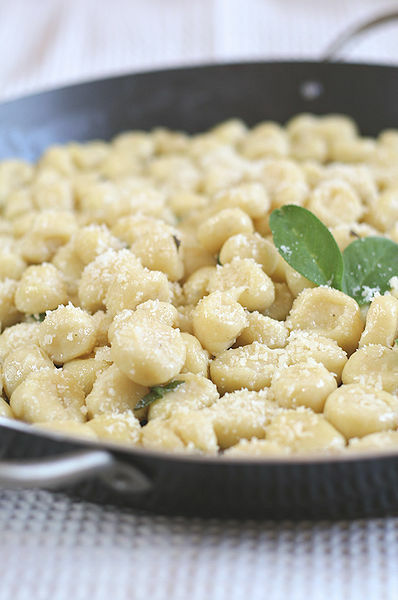 Gnocchi is the Italian name for a variety of thick, soft noodles or dumplings. They may be made from semolina, ordinary wheat flour, potato, bread crumbs, or similar ingredients. The smaller forms are called gnocchetti. The word gnocchi means "lumps". It has been a traditional Italian pasta type of probably Middle Eastern origin since Roman times. 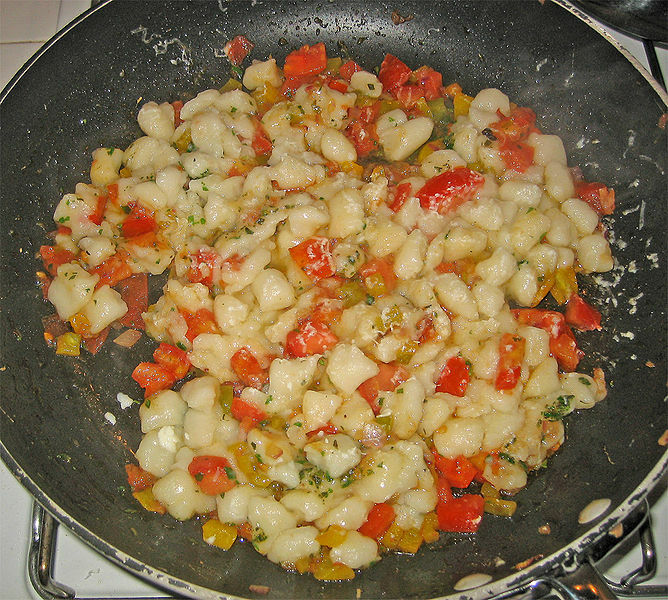 Gnocchi are eaten in Italy as entrées (primi piatti), alternatives to soups (minestre), or pasta. They are widely available dried, frozen, or fresh in vacuum sealed packages in supermarkets and Italian specialty stores. Classic accompaniments of gnocchi include tomato sauces, pesto, and melted butter (sometimes fried butter) with cheese.